Paine College received a B.
Washington Monthly's ranking of 105 out of 346 of Baccalaureate Colleges - Overall Rank was a major contributor to this grade. Paine College in Augusta, GA (a little over two hours from Atlanta) is ahistorically African American school of about 900 students, many of the non-traditional variety. 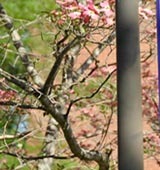 Paine offers a liberal arts education as well as a number of pre-professional programs. What are the top 3 reasons someone should attend Paine College? You should attend Paine College for education. You should attend Paine College for religion. You should attend Paine College for football. What is a typical Paine College student like? Describe the type of person that should attend Paine College. What are the top 3 things that students do for fun at Paine College? Play baseball, basketball run track, football cross county running, play tennis, volunteer at senior centers, boys and girl clubs etc. Campus housing is available for undergraduates. Housing deposit : $100.00. Housing deposit due : Jul 1. Housing deposit is not refunded if student does not enroll.. Freshman allowed to have car. No pets. 44% of students graduated in the top half of their class. The average student pays $14,234 for tuition, fees, and other expenses, after grants and scholarships. Total stated tuition is $11,880, in-state and on-campus, before financial aid. Learn more about financial aid at http://www.paine.edu/offices/fiscal/financial-aid/default.aspx#. Estimate the net price for you at http://npc.collegeboard.org/student/app/paine. Paine College participates in the NCAA Division II for college athletics. Want more info about Paine College? Get free advice from education experts and Noodle community members.